Priced below KBB Fair Purchase Price! Alloy Wheels *, Backup Camera *, Bluetooth*, Luxury Package *, Power Mirror Package*, Remote Start*, Leather Seats*, Heated Package*, Auto High-beam Headlights, Blind spot sensor: Blind Spot Detection warning, Power Liftgate. Hambelton LaGreca Super Center WWW.hamlag.com. 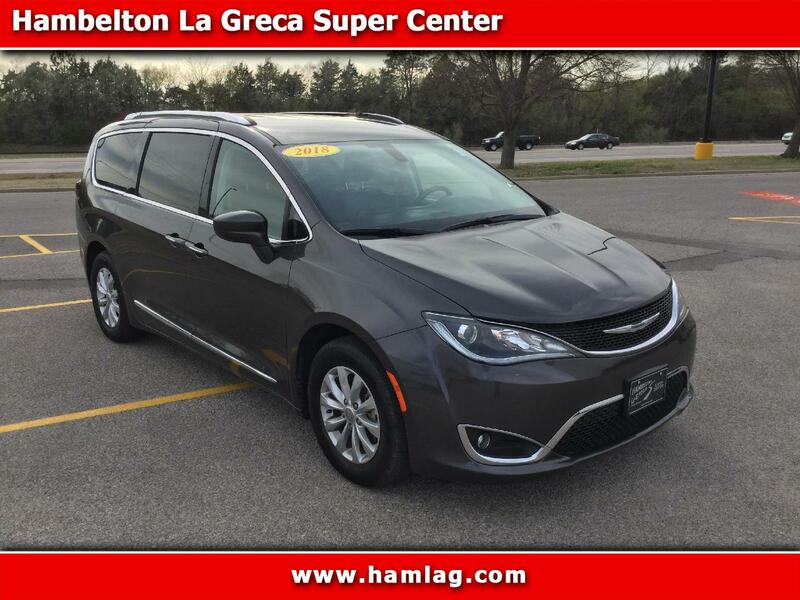 granite crystal metallic clearcoat 2018 Chrysler Pacifica Touring L 4D Passenger Van 3.6L V6 24V VVT FWD 9-Speed Automatic Odometer is 2594 miles below market average! Excellent Financing Available!